The dangers of genealogy websites, or, Where did our privacy go? This is a step outside my usual post, but I’m concerned. I took a recent tour through a genealogy website looking for an ancestor’s birthplace. It wasn’t there. Mine was. My birth certificate was there. So was my grave. Funny – I don’t feel dead. Then I got even more curious. It turned out you could even get my criminal record for just $4.95. Whoever fell for that one was robbed – I have no criminal record. Well, unless you count that one little teeny speeding ticket…. Then I found my address, the description of my house, the square footage, what it is worth (in case someone wants to know if it’s worth robbing or not, I suppose), and then, for the clincher – a picture of the house taken a few years back after its surgery for a broken water pipe. If I ever have trouble with my memory, I can just look myself up on the internet. Remember those questions you can choose to ask yourself if you forget your password for the bank? Well, don’t use your mother’s maiden name – that’s on those genealogy websites. Often you will find enough there to reconstruct a large portion of your life. If someone knows your name and has a general idea of where you were born, those sites are an information gold mine. The authors at The Catholic Gene have pointed out that the Catholic Church no longer cooperates with Latter Day Saint information-gathering that would enhance these sites, but it did give out some information until 2008. Lindsay Ferrier writes in Suburban Turmoil of her attempts to remove her information from various sites. She was apparently successful, but if you read the comments, the information often just pops right back up. It worries me that no one has sounded the alarm about genealogy sites. Most of them ask you to type in the name of your dead ancestor, but if you are up to no good, I can’t see that stopping you. Putting a thief on his honor is a worthless tactic. One strange thing about these genealogy sites is that the information they contain is often just plain wrong. There are inaccuracies galore. According to one, I share a home with four people I’ve never heard of. One of my great-aunts was called by her nickname, and that is what is on her headstone. I wonder if anyone outside the immediate family realizes that her real name is unknown to those sites. Future genealogists may add an extra person to the family if they run across her true given name. Doesn’t look like trouble, does it? 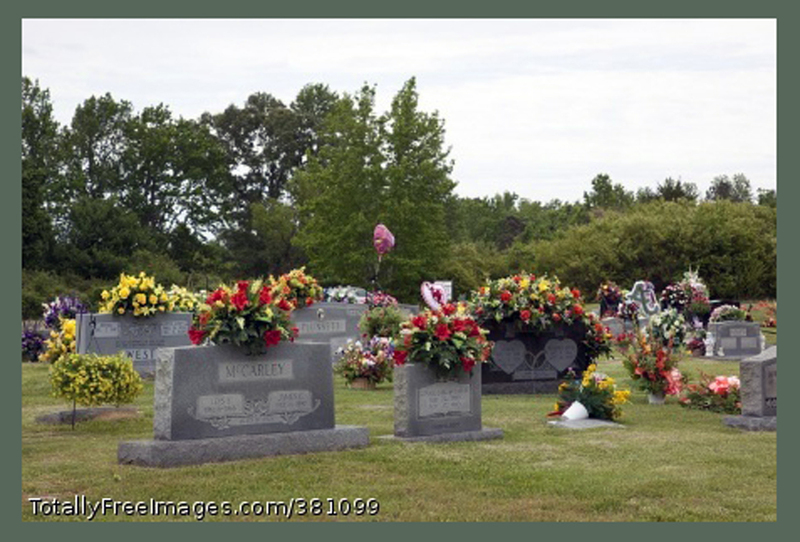 Findagrave publishes photos of graves with short biographies and an opportunity to leave a virtual flower and note. This is really a lovely idea. Volunteers take a cemetery and photograph all the graves and record the inscriptions. But if someone up to no good knows your mother’s last name, they may very well find out her birth and death dates complete with links to her husband and children, her parents, siblings, etc., etc. This is really a nice website for remembering our loved ones, but information thieves are just too prevalent. Perhaps we should edit the information we provide. This site provides a way to contact the person managing the particular grave information, so you do have an opportunity to ask that certain things be removed. I ask everyone to check out what they can find on themselves and their families just on genealogy sites. You may be surprised. I refuse to pay any money to find out more than what is available free simply because I don’t want to add to their stash of info by giving them my credit card number. This may be information everyone already knows. But it bears repeating. We worry about the National Security Agency, identity theft rings, and overseas hackers, but I wonder how many of us realize the dangers in sites that claim to aid in such a seemingly innocent pastime as building a family tree. If you figure out what we can do about it, please let me know. Good luck – I hope you don’t find a thing! I’ve wondered about ancestry and other paid sites for quite some time. I don’t share my information there. And I certainly don’t do any searches. I consider paid sites as the gateway to “McGenealogy.” I’m not looking for quick results — only accurate results. Great post. Love your term “McGenealogy” – great one! I’ve had a laugh on Ancestry.com when distant relations create a family tree with my relatives, and they have my long deceased great great great grandmother giving birth at 105. I just clear up the information and continue on. It’s worth mentioning that Facebook is one of the easiest places to gather information for identity theft. Little games will ask you to list your mother’s maiden name and your first pet – all of which are common password hints. “Who is your oldest nephew?” “What elementary school did you attend?” Then there are sites like zabasearch that will list every residence you’ve had since about 1990. It’s scary how much information is out there. Didn’t know that about Facebook – very interesting! Congratulations to your great great great grandmother on her (falsely attributed) long-lived fertility! I’ve wondered about those sites, too…especially with the DNA testing. Hopefully we’ve all learned our lesson from WWII, but if some nut decides to try ethnically cleansing the US, all the info is available online….who we are, where we originate…yikes. I never thought about that aspect of it. We’ll just all have to stand up for one another. 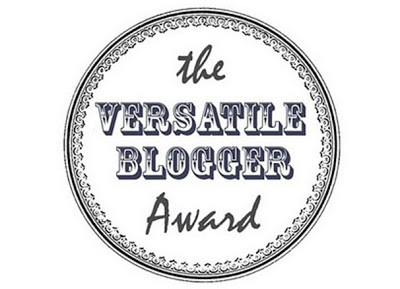 Thanks for reading – and for enlightening me!